2018 was a big year for SEO. Whether it was the recent changes in Google’s management team, the numerous algorithm changes and the “YMYL” debacle, or the advent of mobile first indexing, SEOs everywhere had to reshuffle their deck and find ways to cope with these new realities. It also offered us a glimpse into what we can expect in the future, with Google scraping some personalization features and putting more emphasis on structured data. 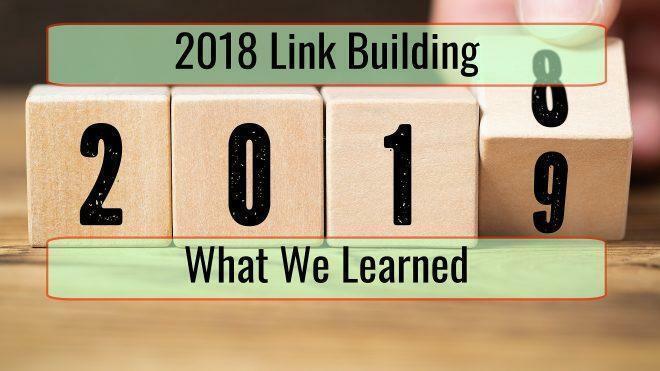 Let’s take a closer look at what we learned about link building in 2018 and how it will affect how SEO is done in 2019. While guest blogging was still an effective way to get links in 2018, the people at Google made it clear that they were going to crack down on link manipulation techniques in 2018, and that included guest posting solely for the sake of link building. We are now seeing more and more people relying on brand mentions and organic links over content links in order to build links through guest blogging. 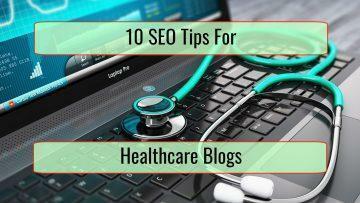 While guest blogging should still play a major part in link building and SEO, this has to be coupled with highly reactive on-site content. More emphasis now has to be put on creating great content that will be posted on your site and picked up by influencers and members of your audience. You should also focus on providing real value to your users if you want your content to start creating links on its own. For instance, identifying content that has been getting great results and repurposing it could be a great way to attract organic links. One way to do this could be to find authoritative content closely related to your niche and repackaging it in the form of an infographic for instance. Another way to add value could be to search for what issues are really affecting your audience by scanning community hubs and knowledge bases like Quora for instance. Listen to what your audience has to say and what is bothering them, and come up with content to remedy that. Investing in social listening tools could also be a great way to get your finger on the pulse and know what your audience is really talking about. A clear correlation has been established between thin content and search results. As a matter of fact, a recent study by Backlinko found that long form content vastly outperformed shorter content. The main reason that was mentioned was that long form content had a tendency to attract much more social shares then shorter content, though they also posited that Google’s algorithm could simply have a preference for long content as well. Others theorized that longer content could benefit a particular page’s topical relevancy, since long form content could help Google identify the content’s topic better. While much hoopla has been made about link quality trumping link quantity when it comes to SEO, things aren’t as cut and dry anymore. Research has shown that link quantity still has a huge effect on search engine rankings and that sites that had more links outperformed those with fewer ones. So, even if many rankings factors like social shares have been added to Google’s algorithm and it’s increasingly become more diverse, link quantity still plays a major role when it comes to ranking. However, that still doesn’t mean that all links are created equal. Links from high authority pages still outperformed low quality links and getting one link from a high-quality source still beats having a hundred links coming from a hundred low quality pages. The key here is that you should aim at having as diverse a link profile as possible, while closely monitoring bad links and removing them. Using exact anchor text used to be one of the cornerstones of link building, only for Google to come out against the practice with the Penguin updates. But are exact anchor links still an SEO sin? Well, the data is quite conflicting in this area. While Matt Cutts and the people at Google made it clear that they were cracking down on manipulative link building tactics, data still shows that there is still a correlation between closely related anchor text and search ranking. What does that mean for the future? It means that anchor text still needs to be taken into consideration, but that context should also be accounted for as well. However, because of the many risks involved with using exact anchor text, you should be treading lightly in this area and focusing more on things like latent semantic indexing. 2018 was the year of local search, and the advent of mobile and vocal search had a lot to do with it. And local mentions as well as local links also have a huge influence on local search rankings as well. People now have to pay more attention to brand mentions not only in general, but in local publications as well. Highly relevant, and high-quality local directories also play a major role in how your website will perform in local search and cannot be overlooked. You can no longer ignore the power of video and how much of an effect it can have on building high quality organic backlinks. And video content not only seems to attract more social shares, but Google is actually starting to privilege video content on its search engine rankings. So, if you want to rank in 2019, you have to be willing to invest as much as you can on video content, whether it’s through explainer videos, video blogging, video testimonials or things like live webinars or interviews. 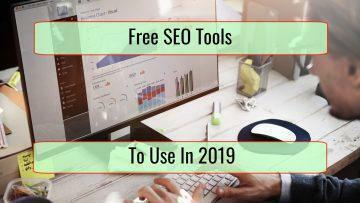 2018 was a major year for link building and SEO, and 2019 should be no exception. Make sure that you’re always aware of recent changes in SEO if you want to stay ahead of the curve and on top of the competition.